The orthopedic specialist, Dr. Armin Tehrany, was invited to share his expert opinion on bone health on the “Men’s health” show on Doctor Radio SIRIUS XM. Men are not paying enough attention to the factors that affect the bone health. The number of bone issues in men has increased in the past few years. Therefore, the topic of bone health and overcoming bone issues, such as bone density and bone fragility, has become widely covered on shows for men’s health. 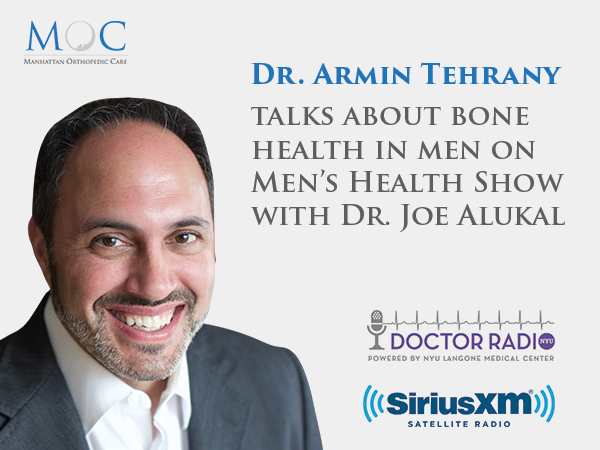 As a shoulder and knee specialist, Dr. Tehrany was invited by Dr. Joe Alukal, the host of “Men’s health” show on Doctor Radio SIRIUS XM, to help the audience to understand the importance of good and quality bone health and bone strength. At the very beginning, Dr. Tehrany explained the difference between osteopenia and osteoporosis. He also recommended a regular testing for the Vitamin D level in men, which is one the most valuable vitamins for the bone health. Further, in the interview, Dr. Tehrany expressed his concerns regarding testosterone replacement as a method widely used to improve bone health. In his efforts to help the audience to understand the benefits and the risks of testosterone replacement therapy, he clearly stated that this treatment should be performed solely by endocrinologists since they are knowledgeable enough to help men with weak bones get a proper bone health treatment. I’m Dr. Joe Alukal, your host for the Men’s health show on Doctor Radio SIRIUS XM Channel 110. We just finished up a great half hour talking with Chris Kornelis about his book “Rocking Fatherhood: The Dad-to-Be’s Guide to Staying Cool”. We are going to change gears a bit. We are now very pleased to be joined by Dr. Armin Tehrany, who is founder of Manhattan Orthopedic Care, he is Clinical Assistant Professor in the Department of Orthopaedic Surgery at Mount Sinai, and he is here to talk to us about a topic that we scour around a fair bit on the show, and that’s bone health in men. Dr. Alukal: Welcome to the Men’s Health show, Dr. Tehrany. Dr. Tehrany: My pleasure, Joe, it’s a pleasure indeed, thank you for having me. Dr. Alukal: Thank you for being here. So, how do we normally end up discussing bone health, and it’s usually for a quick few moments on the show, it’s in the context of testosterone deficiency and testosterone replacement. Sometimes we’ll have a guest on who will remind the listening audience that one of the reasons a man might end up on testosterone replacement is to help him whit his bone density, with osteopenia or osteoporosis. The listening audience has some familiarity with it, but let’s start at the very beginning. For example, how would you define those two terms: osteoporosis vs. osteopenia, are men at terribly high risk of it, which men are more at risk of it? Dr. Tehrany: Yeah, sure. I think it is important for the audience to understand that men are also likely to get osteoporosis. They can have problems with their bones health. Osteopenia is essentially a condition where by the bone quality and density decreases, it’s decreased a slight amount, so it’s not as bad as osteoporosis. It is kind of like osteoporosis light. Something that’s difficult to pick up on X-Ray, but it’s definitely something that we can suffer from, and as the years go by and as we age, we are more susceptible to getting osteopenia. When the level of osteopenia and bone density issues become more severe, that’s what we call osteoporosis. We are more likely to get osteopenia, or some things of that nature, once men get into their 50’s or so, that’s when the risk goes up a little bit. Of course, if someone has thyroid disease, or is a smoker, or has issues with their calcium level, then they are more likely to get osteopenia and the osteoporosis. And considering how common smoking still is, and even the possibility of thyroid disease, men have to realize that they are absolutely susceptible to this kind of bone disorder, and it’s important for them to understand what the differences are, understand the risks they have. Obesity, also. Someone who is overweight, may not have the right balance in their body, and as a result, they are much more prone to having bone density issues. What we usually want, as orthopedists or the people in the musculoskeletal field, is for patients to have their bones checked once they get to around that age, and there are ways of doing that. The most notable is the Dexa Scan. The Dexa Scan is a great way that checks through either femur or the spine the bone density levels. It’s much, much more accurate than the X-Ray. X-Ray is definitely not something that is going to be good enough to pick up these kind of bone issue. By the time you see osteoporosis on X-Ray, it can be modern or even sever. That is the basic sense of what osteopenia and osteoporosis can be. Dr. Alukal: What age do you feel like it becomes reasonably high, yield enough to suggest to somebody: Hey, if you have never had one these test before, you should go ahead and do it now? Dr. Tehrany: I think in those patients, who are generally healthy, have never had a fracture before in their lives, and they get regular checkups, I think by the time they are in their 50’s it’s reasonable to say that they should consider getting some type of evaluation, like the Dexa Scan. However, for someone who suffered one fracture that seems like it’s a little unusual, they’ve got a pretty bad fracture for something that a doctor or orthopedic surgeon considers as more simple fall or issue, then the antenna should go up for everyone to say: How about I get this simple, non-invasive Dexa Scan? If someone gets multiple fractures, I for example, know a good friend of mine who in her 20’s, of course that was a woman, and this is a men’s show, but it was a woman who had multiple fractures in a short span of time, she had a Dexa Scan right away. Same applies for men. Couple of fractures – it’s best to get a Dexa Scan, because under the age of 50 it’s less likely to get multiple fractures, and if you do, the antenna definitely has to go up, even if it’s a kid. A lot of times the parents of a child, or a young adult, will think: Well, I just fell a couple of times, it is part of the course, it is perfectly normal. It’s not. It’s much better to get a simple Dexa Scan after couple of fractures in your life, just to be sure that your bone quality is normal. Dr. Alukal: And what is the physiologic basis for the difference between bone density issues in men and women? You mentioned your friend in her 20’s and her multiple fractures. If that’s a woman in her 40’s or 50’s, all of us would just sort of shrug and say to ourselves: Well, she’s got weak bones. What is the reason that this can be more of an issue in women, or it is more likely to be an issue in women? Dr. Tehrany: For women, because of their estrogen levels and they have estrogen progesterone, it’s different than men who have testosterone levels. Because of the fact that there is an estrogen progesterone cycle that women have, they are bit more likely to be able to have these issues, and they are more likely to get bone density issues at a much younger age. But, again, we can’t discount the fact that men, especially in this day and age, are more likely to get bone issues. Let’s also understand that men are less likely these days, I find, to be able to understand the value of vitamin D. They are not getting themselves outside to get enough sun, because they are worried about getting skin disease. They are worried about all these terrible things that you can get out in the sun, so their vitamin D levels get real low. Next thing you know – boom! They’ve got fragility fractures and things in that nature. Women as well. Women are probably even more likely to a large degree, because they want to protect their skin. They want to make sure that they look young. Men as well, but in our society it is bit more common that women are going to really going to care and make sure their skin is good and they look young, and they’ll avoid the sun. Because of that, their vitamin D levels are going to go down. There is a variety of factors that lead to poor bone health, and that bone health leads to deterioration, and it can lead to injuries, and that’s when the orthopedic surgeon comes in, to able to deal with those injuries. Dr. Alukal: Sure. Just to be clear for the listening audience, vitamin D plays a very important role in the deposition of bone and it is converted in your skin when you are exposed to sun light, from just plain old vitamin D into activated vitamin D, which is more sort of powerfully capable of playing this role. That’s a blood test, you can get that done with your internist, anytime you want to just actually check your vitamin D level. You can take that as a vitamin supplement. Also, if you are taking it as a supplement, do you need to get a little bit more sun in order to get it turned into this more potent form of the activated vitamin D? Yes, of course, what do you have to wave at against,it’s your risk of skin cancer as it relates to sun exposure, so do this, but at the same time be mindful of how much sun you get. What about the idea of looking at the young man, he is physically active, maybe he still plays basketball on the weekends with his friends, but as he ages, as he exercises less, what are the things that you might recommend to him now that are maybe going to help him keep stronger and healthier bones as he ages? Dr. Tehrany: Yes, it’s a great question. If I was in my 20’s, I really didn’t have to worry so much about things like that, I felt like: OK, I’m invincible, I can work out, I don’t have to eat right, I can eat poorly and I’ll be fine. The truth is, our muscles, especially in men, begin to deteriorate in their 20’s, and as a result of that, we have to realize the muscles age, they begin to shrink, they lose mass, it’s a natural process. A sedentary lifestyle can accelerate it, so for those young men who are playing sports, it’s a great way to maintain great strength and muscle activity. But, in addition, it’s important to eat a healthy diet, it’s important not to overdo it. Some kids who are younger, who are in their 20’s, feel as so they can play as much basketball as they want and not worry about it. The issue that comes with that, is that many years later their labrum, the tissues inside their joints, in shoulders and knees can stat to wear down, they run the risk to get this “weekend warrior” sports related issues many, many years later. They wonder why it was that they had that, because there was no specific trauma later on in life. Well, some of it was because of the fact that they didn’t necessarily overdo it, but because they were so excited about really doing lots of sports, in a sense doing something five times a week, they were doing the same sport over and over and over again – that takes the toll on the body, Joe. It’s important for these young men to understand: everything in moderation. Little bit of basketball is great, little bit of swimming is great. Little bit of walking is great, little bit of running is great. Diet is important, as I mentioned before. And ultimately, stretching. Believe it or not, once you are into your 30’s, I still consider that pretty young, I’m 46, it’s important to start looking into stretching. It’s not all about having strength and what looks good on the outside. It’s important maintaining that balance. By maintaining that balance and avoiding constant heavy overhead overweight lifting, running marathons and triathlons, it’s good to try to balance it as much as you can, because when you find that proper balance starting at a young age, it’s going to help you so much more later in life. I can’t overstress that enough to my patients, because the ones I see, even in their 40’s and 50’s now who just really pounded as athletes when they were younger, they pay a little bit of a price now. Dr. Alukal: Absolutely. We are on the “Men’s health show” on Doctor Radio SIRIUS XM channel 110 and we are talking to Dr. Armin Tehrany, founder of Manhattan Orthopedic Care and Clinical Assistant Professor in the Department of Orthopaedic Surgery at Mount Sinai. We are talking to him about bone health in men. If you have questions for us, give us a ring here in the studio. Let’s take a caller with a relevant question. Terry in Oregon, how are you? Terry: Wonderful, how are you doing today? Dr. Alukal: We are doing great. Thank you for calling the “Men’s health show”, how can we help you? Dr. Alukal: In terms of the vitamin D level? Dr. Alukal: I honestly don’t know. Dr. Tehrany, I’d love your thoughts. If for any vitamin there is such a thing as too much, we call these conditions hypervitaminosis long- word-fill-in-the-blank, so what happens if you have, for example, too much vitamin A or E in your system? But in this particular case I’m having trouble remembering, if there is a problem associated with too much vitamin D and at what level you get to that point? Dr. Tehrany, do you recall an answer to this? Sorry, not to put you on the spot. Dr. Tehrany: Listen, I get it. 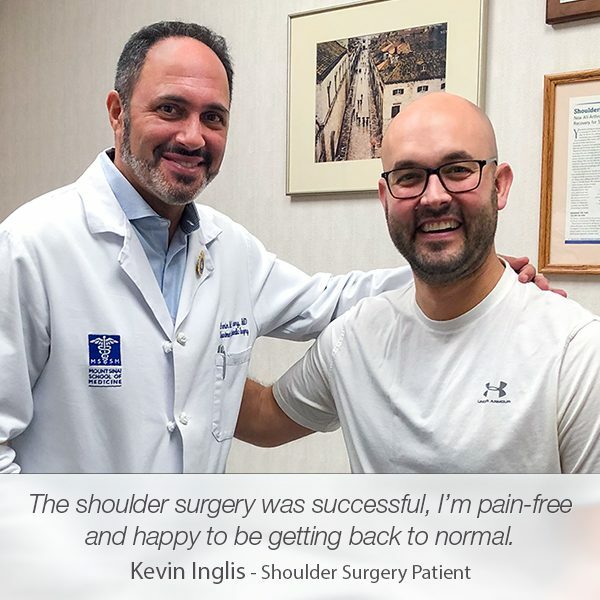 At my stage of my career, I just specialize in shoulders and knees and arthroscopic surgery, but what I can tell you is that you are absolutely right. First of all, one can have too much vitamin D. Usually, however, the kidneys and the rest of the body are doing pretty good job of trying to maintain it regulated. Sometimes you can get bones that are almost a little too strong from too much vitamin D. Your best bet, sir, is, if you feel like it’s too much is to try to tape it off a little bit, and maybe consider seeing an endocrinologist because we, orthopedic surgeons, can have some understanding of how to regulate that. You don’t want to wait until you have the untoward potential effect of too much vitamin D from us, you’d rather have, I think, an endocrinologist who you are talking to, who knows your case well to make sure that you are at a level that is safe for you. It’s different for different ages, and by the way, it is different for different lab tests what’s normal and abnormal. That’s something that you have to bear in mind. And you definitely want an expert who deals with vitamin D levels on a regular basis. Another option is a primary care sports medicine doctor, so a physician who does primary care in training and then is subspecialized in these sports injuries. 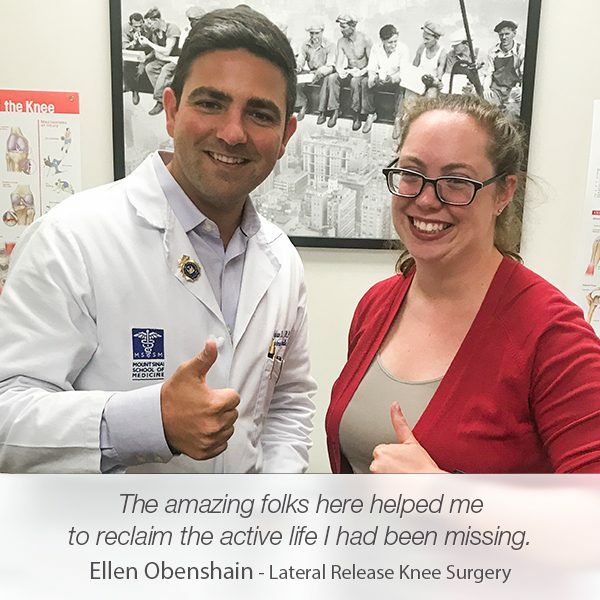 They are the ones that I look to for my patients when they’ve got abnormalities of lab values, stress fractures, because essentially they are non-operative orthopedists, that’s what they specialize in, so that would be another thing to consider. Terry: Oh, doc, I’m physicist, I was at Stanford for 26 years. I just got a report, just this morning, some of my Stanford colleagues who are my age, and I’m 73, and the email they sent from Paulo Alto, California, was that they were very deficient in vitamin D and they had a lot of problems with depression and some other things, and their A1C and diabetes as soon as they got into that level around 65-70, they stared to diminish, so I asked one of my doctors who is a cardiologist, he said: Terry, the most important thing is not to get into hypercalcemia. As the bone marrow is decreased, the dissolving starts happening at about 140 nanograms. I thought half of that would be suffice, but I was just bringing this up because, I just know how I feel. Like you said, if you feel good, I don’t want to get into trouble. Dr. Alukal: Well, the one point that I would make, I do vaguely recall that if you’ve got too much vitamin D flooding around your system, it can result with you ending up with too much calcium in your blood as well, which in turn can cause some real health issues. But I really thought for that to happen, you had to have sort of an egregiously high number. What I don’t know and it’s always difficult to do with these kinds of lab tests is comparing apples and oranges on what constitutes a normal range for lab value “fill-in-the-blank” between one lab and the next lab, and the next lab. So, the first doctor who checked your level and suggested you are deficient in vitamin D, I would ask them: Based on the lab we’re using, is what I’m taking right now too much? And this goes back to Dr. Tehrany’s point which is simply keep someone who is knowledgeable about this involved. The first person I would think of is also an endocrinologist. They are often times very informed about bone health and what to do in terms of your bone health. But even if it’s just a general practitioner and they said to you: Yes, I checked the test and I know that you needed to be on some vitamin D, my next question should be: How do we know when I’m on too much?, and just pay attention to what they have to say, because I don’t want to give you some willy-nilly answer that I don’t know if it’s correct about this number is good, but that number is bad. I’d rather you try stay out of trouble on this one, okay? Terry, thank you. So, Armin, you learn something new every day, right? Dr. Tehrany: Absolutely! I find medicine so fascinating every day that goes by, because we get so much more information. We are trying to keep up, we can keep up a lot better because we’ve got these little computers in our hands that we can use to get information, and we can with all the spread of knowledge start super specializing within a certain field. 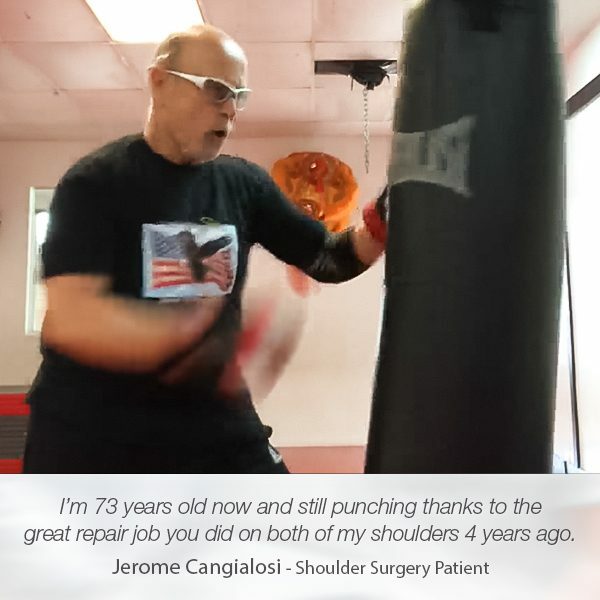 I think we are very, very fortunate that we can try to stay general, but always look out to our colleagues who are super specialized and just guide our patients to realize that they are even in a better position than they used to be, because they can get some real good details from some real good experts. Dr. Alukal: Yeah! I know you’ve got to feel the same way in your home institution, I know I’m lucky to have people here who understand the new wants and the details of whatever question it is I’m asking them to address for one of my patients. A massive encyclopedia of knowledge it’s out there now, in terms of our understanding of the human body. It takes involving lots of people to be able to navigate these questions correctly for our patients, because it’s impossible to know all of it. Inch deep and a mile wide – if that’s our fund of knowledge for our patients, it’s not good enough. It is a fascinating time to be a doctor, I absolutely agree. Dr. Tehrany: You also hit the nail on the head with regard to having a team approach. For those of us physicians, who think we know it all and think we can’t get help from looking at a colleague, we are doing our patients a disservice. It’s a great thing to be able to say to a patient humbly: “This is what I know about this field, but in terms of your details, I don’t know enough about it. I know some, but I can definitely help you to find an expert in that field and lead you in that direction, or have my staff lead you in that direction. My own institution, and in even the sister institutions that are nearby, where I know that a certain physician has the expertise to be able to help, I find that patients really appreciate that. It’s a team approach and it’s extremely valuable. Dr. Alukal: We’ve got a little bit of time left, about 4 minutes, there is a topic that always, always, always comes up on the show, I’m amazed that it somehow hasn’t come up before now, and it is testosterone replacement. In a man with weak bones and whom you found a low testosterone, either you checked it, you probably wouldn’t be checking it, maybe the endocrinologist you work with checked it, what do you expect if that guy gets on testosterone in terms of his bones getting healthier, what are you counseling the patients if they ask you this specific question? Dr. Tehrany: I have to be honest, it is a very specific question. I caution those patients about what might happen to their bones as a result of the testosterone replacement, because you have two sets of patients: you’ve got patients over the age of 40 whose testosterone levels are low, it’s abnormally low and they will do well with having the right amount of testosterone, but they have to understand how important it is to keep their bones strong and maintain the strength, because those are the patients that their bones start to get riddle, right? And then you’ve got other sets of patients who somehow figure out how to get testosterone and they are under the age of 40. They are doing it right, they are abiding by the rules and regulations, and they go to some group that advertises well on television, but may not necessarily be doing what’s right. So, when this topic comes up, Joel, I just have to mention and make it clear to the audience how potentially dangerous it is to have testosterone replacement therapy because of the effects that you just mentioned, even if it is done right, even if it is done by the right group, a notable group. But then especially for the ones who want to take the things into their own hands because the results can be absolutely devastating. It’s very important to be able to understand that when you get involved in testosterone replacement therapy there are benefits, but there are potential drawbacks. Just like when you are talking to someone about a surgical procedure – there is benefits and there is drawbacks. And by the way, it’s not as though the testosterone replacement is perfect in everyone. I’ve spoken to some endocrinologists and colleagues of mine, who are very much against giving testosterone replacement to anyone, because they say, for example: what happens if they give testosterone replacement for a low testosterone level to someone, and for some reason this patient in their 45, all of a sudden starts to get a prostate cancer, because the prostate grows as a result of the testosterone replacement. When you get a prostate issue when you are young, it’s dangerous. While I don’t want to tell the audience that it’s not worth doing, I do think that it’s important for them to understand that in addition to bone issues, there is plenty of other issues that can come up. I just ask that the audience speak very clearly and carefully to their physician who is prescribing that, just so that they understand exactly the importance of being specific and paying attention, and understand that just taking the medicine alone is not the only way to affect the bone. Bones can be affected by their overuse, or underuse, in terms of the weightlifting activities that they might do, or heavy impact or repetitive impact activities they’ll do. The endocrinologists are the ones I trust the most. Of course there are exceptions, there are those physicians who just love within either orthopedics or primary care sports or they take an interest in learning more about testosterone in urology, they take a special interest, and that’s wonderful, I bless them. If they can get that information and they can transfer over to that area, it’s all the better. It’s actually great when you have people who have studied one area and they branch very carefully over into a similar area, and they come at from a little bit of an advantage point. Dr. Alukal: Sure. 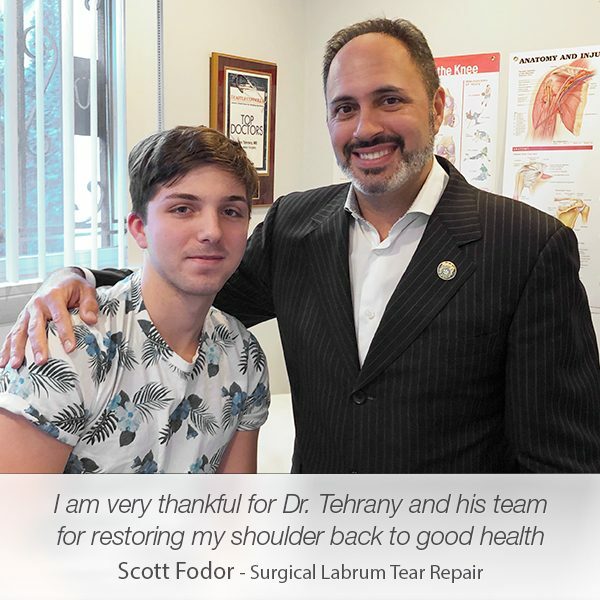 A lot of great know-how, thank you so, so much for being here, again Dr. Armin Tehrany, Clinical Assistant Professor in the Department of Orthopaedic Surgery at Mount Sinai and founder of Manhattan Orthopedic Care. Thanks so much for being with us. Dr. Tehrany: My pleasure, Joe.